If you have ever dreamed of witnessing real magic, then “Trips In Egypt” is offering a 7 days Cairo, Luxor & Alexandria tour to the most magical destinations in Egypt. Cast your eyes on the fascinating monuments of Cairo like the Great Giza Pyramids Complex, the majestic Saleh El Din Citadel and many other extraordinary landmarks in Luxor like Valley of the Kings, Queen Hatshepsut temple and also in Alexandria the gem of the Mediterranean. -Tour Location Will Be In Cairo, Luxor, and Alexandria. -Tour Duration for 7 Days / 6 Nights. First Day : Arrival to Cairo - Check in The Hotel. When you arrive at Cairo airport, our employee will welcome you at the entrance and assist you with all the necessary formalities, then you will be transported to your 5* hotel and at night, you will enjoy a dinner cruise with your tour guide on The magical Nile, then return back to your hotel for overnight. Enjoy your breakfast at the early morning, and join your private tour guide on your quest through Egypt’s beautiful destination such as "Giza Pyramids complex" that dates back to 2400 B.C and holds the three great pyramids, the Sphinx and the valley temple. One of the monuments located in the plateau is "The Great Pyramid" of King Khufu which reaches the height of 147 m and took about 2,300,000 pieces of stone to construct which makes it one of the largest and oldest monuments in the world. Then move your eyes on "The Great Sphinx" which was built to be the protector of the complex and it’s also believed that be one of the oldest monuments in the history of Egypt. Don’t miss the chance to walk in the Valley temple where the ancient Egyptians performed the famous mummification process. 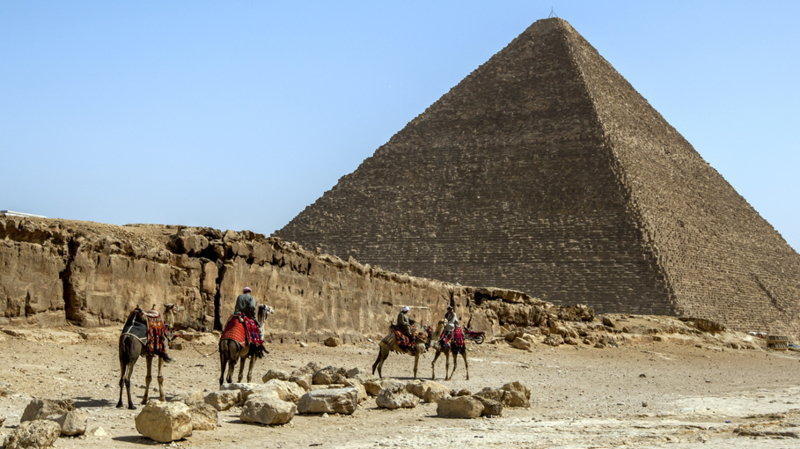 Have your lunch at a local restaurant in Cairo before ending your tour in Cairo with a visit to "Saqqara Step Pyramids" which is the oldest large-scale cut stone construction in the world as it consists of six steps above each other. Then transfer to Cairo airport to catch your flight to Luxor and upon arrival check in 5*hotel for overnight. Enjoy your breakfast in the early morning, and meet your tour guide to continue your Cairo, Luxor & Alexandria tour by visiting Luxor tourist attractions. Behold the majestic sight of "Karnak Temple" which is the largest man-made temple ever built in history, it represents the climax of Egyptian architecture brilliance as it was developed over the years by many pharaohs. Enjoy your lunch at a marvelous scenery of "Luxor Temple" in the magical nature of the night. The temple was home for many celebration and festivals and known to associate with the holy kingship of many pharaohs like (Amenhotep III) and Ramesses II, then back to your 5* hotel for the overnight. After having your breakfast, join your tour guide to visit the majestic Valley of The Kings the home to some of the most beautiful artifacts in history. It contains the mesmerizing tombs of some amazing pharaohs like King Ramses II and King Tutankhamun. Then makes a turn to the temple of the beautiful Queen Hatshepsut which is a breathtakingly stunning well-preserved temple. 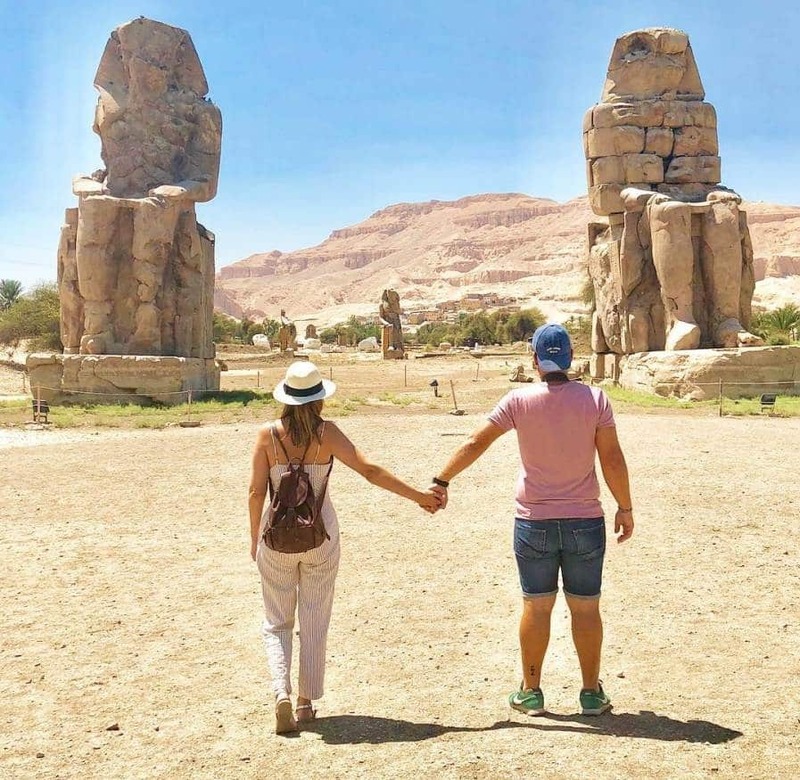 Next, have your lunch, then move to open your eyes on The Colossi of Memnon which is two massive majestic statues made of quartzite sandstone in the shape of king Amenhotep III. Then, return to your hotel for overnight. Fifth Day : Fly Back to Cairo - Explore the Old Cairo. You will be driven to Luxor airport to catch your flight to Cairo after having your breakfast, upon arriving, your tour guide will join you to visit "The Egyptian Museum" which contains a very unique display of artifacts that reach to more than 120,000 pieces of art, dating back to over than 3,500 years. 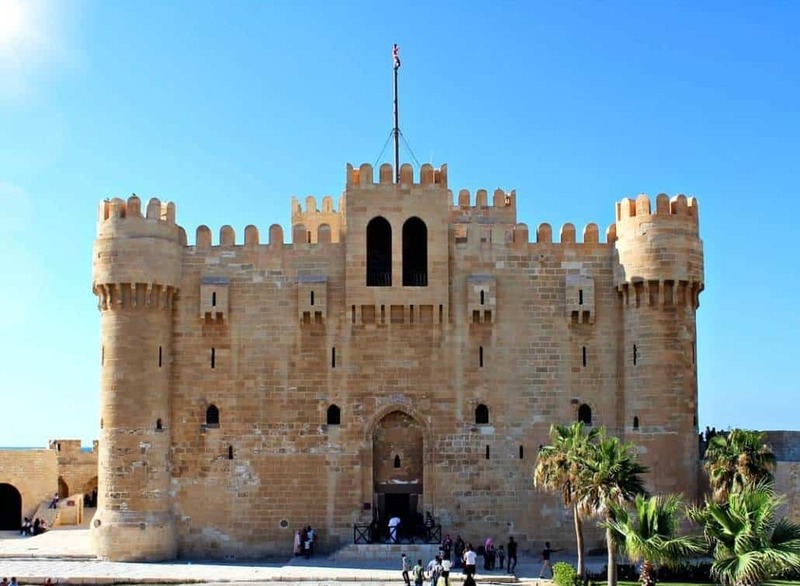 Enjoy your lunch at a local restaurant in Cairo then move to the extraordinary Salah El Din Citadel, which is a fortress built in 1176 and served as the house of the government for many years in the middle ages till 1860. In the citadel you will also witness "The Mosque of Mohamed Ali" which was constructed in the 1830s to be an exact replica of the Turkish blue mosque, it got the nickname the (Alabaster Mosque) as it was purely out of alabaster. End your tour in Cairo with a visit to "Khan El-Khalili Museum" one of the oldest and beautiful streets in the middle east as it was constructed with the city of Cairo in 970A.D by the Fatimid dynasty, Finally, return to your hotel. After having your breakfast, continue your Cairo, Luxor & Alexandria tour by moving to Alexandria by a private A.C car to cast your eyes on the phenomenal Catacombs, one of the seven wonders of the middle ages as it perfectly merges the Egyptian, 'Roman' and 'Greek' cultures into one complete art piece in this burial site. 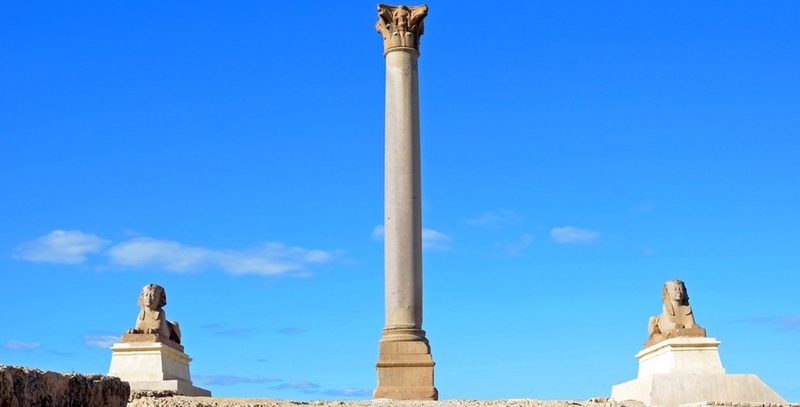 Continue your tour by observing the glory of "Pompey's pillar" which is known to be the only free-standing Roman column in Egypt. After that, you will have your lunch. Continue your tour in Alexandria by visiting the "Citadel of Qaitbay", a majestic 15th-century stronghold fortress on the coast of the Mediterranean seacoast, built by 'Sultan Al-Ashraf Qaitbay' in 1477. Then end your entire tour with a visit to the magnificent Alexandria library which holds a copy of every book published in the world, a unique collection of rare antique books and works on commemorating the memory of the original library of Alexandria. Then back to your hotel in Cairo for overnight. Enjoy your breakfast at the hotel, then our employee will take you to the airport and help you finalize all your departure formalities and this is will be the end of your Cairo, Luxor & Alexandria tour. Accommodation 3 nights in a 5*hotel in Cairo. Accommodation 3 nights in a 5*hotel in luxor. Private expert Egyptologist guides through your tours. All transferred all across Egypt by a private A.C car. Flight tickets between your destinations. Entrance fees to all the sights are all paid for. All the service charges and taxes are included in your itinerary. All of the international airfare. Egypt entry visa will be paid from your end.